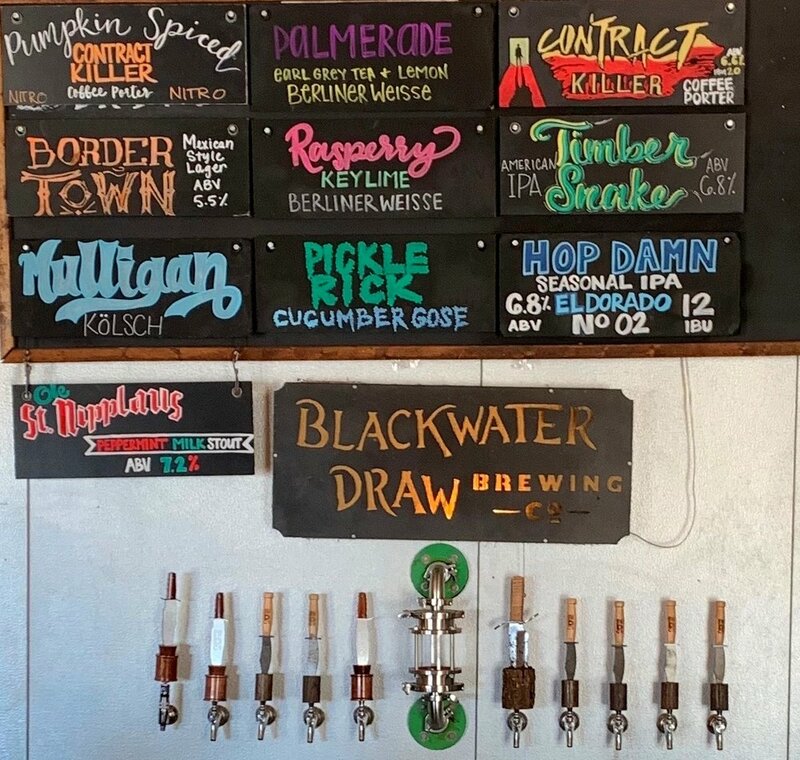 Menu — Blackwater draw brewing co. BREWED IN TEXAS. ENJOYED WITH FRIENDS. Brewed in the traditional Mexican-style, this Vienna lager is extremely crisp with a rich malt sweetness and subtle noble hop aroma. A very bright, citrusy & juicy American-style IPA with the maltiness to back it up. Maris Otter, Vienna & Crystal malts are used to create a rich wort with notes of honey, bread crust and roasted nuts. Warrior, Millenium & Cascade hops are added in the boil to counter natural sweetness of the vast amount of malt used in making Timber Snake IPA. To finish, we dry-hop with over one pound per barrel of Mosaic & Amarillo hops. Amarillo lends the majority of the citrus notes (grapefruity & lemon peel) while Mosaic dominates with tropical fruit notes (mango, papaya & berries). As the weather warms up we're pleased to release our Belgian-inspired wheat ale. Crafted from a mixture of Belgian pilsner malt and wheat & oat, this ale features a zesty flavor and a wonderful floral bouquet. Definitely one of our favorite beers to make. This rich and delicious double milk stout is rounded off with peppermint. Brewed using over 150 pounds of turbinado sugar, over 240 pounds of honey and a variety of roasted malts to produce a slighty sweet & rich chocolate flavor. Best enjoyed with family & friends this holiday season, so grab a growler or three and become your parent's favorite kid this Christmas. Cheers! We have new beer all the time! From rotating favorites like our flavored Berliner Weisse beers to our one-offs like Hazelnut-Vanilla Coffee Porter. Stop in to our tap room to see what the lates offering is!